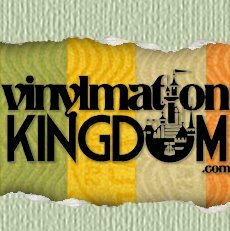 July | 2012 | Sorcerers Of The Magic Kingdom: The Blog! Seeing that the easy mode lockdown is still in effect, the repeatability of SOTMK has gone down considerably. Especially if you’re an experienced Sorcerer I can understand your frustration with the game in its current format. However here’s a tip for those out there looking to break the monotony. If you’re able to play in the evening hours, specifically one hour prior to park close you’ll have access to the villain sidekick battles. These extra scenes make a world of difference in the overall game play and in moving the story line. Although I have seen these extra scenes pop up at various times throughout the day, I can only confirm they are all active one hour prior to park close. With that in mind I highly recommend taking sometime in the evening to give it a try! Don’t forget to follow us on Twitter and join our Facebook Fan Page! Thanks for reading! Just two days after my long-winded whiny post, the Disney Parks Blog confirmed that sometime in August, Booster Packs including cards 61-70 will be available for purchase. 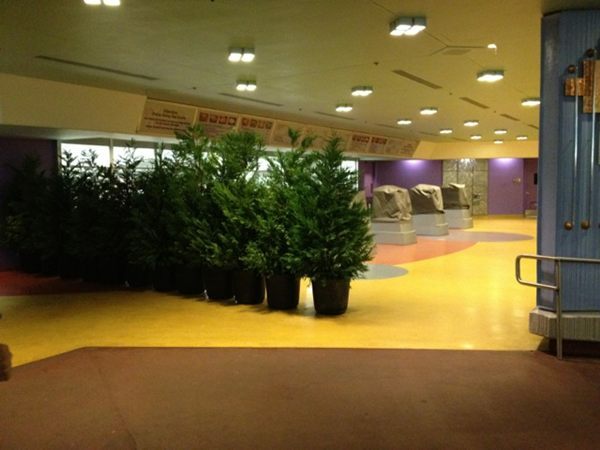 In addition to that, as I predicted over a month ago SOTMK is indeed being converted to a home game. 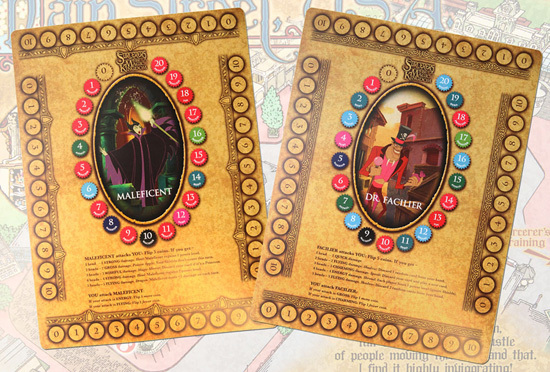 For $11.95 (subject to change of course) you can expect to receive 7 spell cards one of which will be a “super-rare”, one of four game boards, game rules, new tokens and a complete spell card checklist. Now as exciting as this sounds, don’t get too crazy just yet. 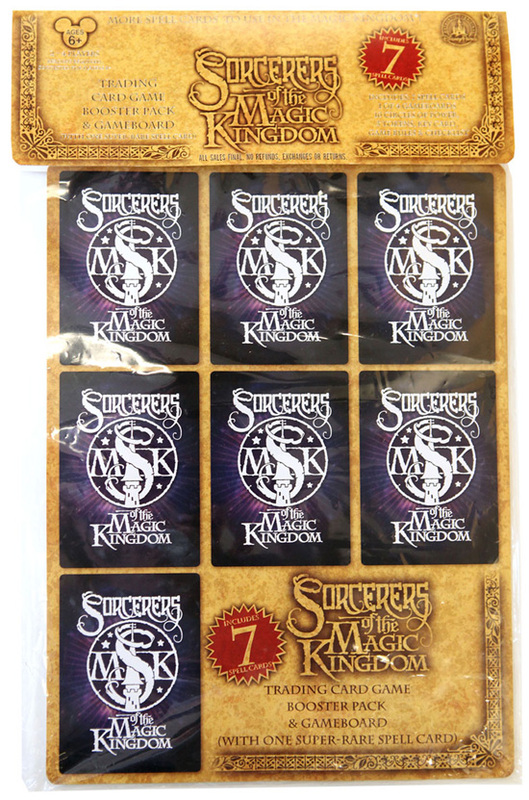 It has been confirmed that the other 6 cards in each booster pack will include cards you can already get at both the Main Street & Liberty Square distribution areas. Not taking the opportunity to expand the spell card library is a total fail in my opinion. You have a rabid fan base ready to spend! Why not release another 70 cards that are available for purchase only. Essentially this forces guests to spend $11.95 a pop until you get cards 61-70. On the other hand this should put an end to the absurd resale market, which I’m sure was a goal. To be honest I’d gladly pay $11.95 instead of $195 for any of the elusive lightning bolts. A positive note about the sale of the booster packs is that it was also confirmed that they will be available for purchase on the Disney Store website. So those who aren’t local or frequent visitors will have the ability to purchase them as well. 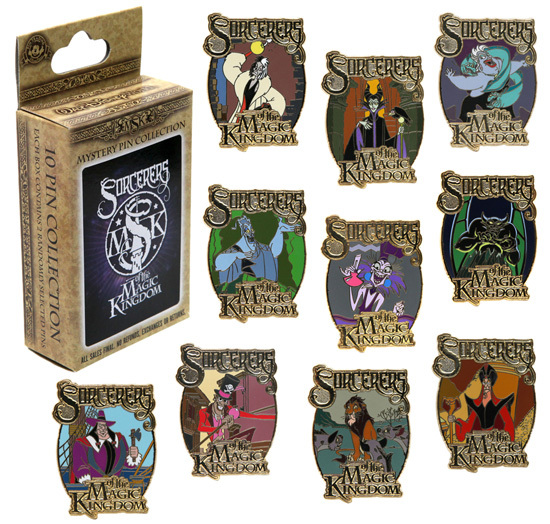 Finally the blog confirmed yet again that pins will be available in the fall providing a photo of the mystery pin set. For the complete post direct from Disney click here. It has been five months since Sorcerers of the Magic Kingdom made its official debut. As far as I am concerned it’s already become stale. I understand it’s still a new attraction having only been live since February 22nd of this year. However I feel it has been completely ignored since then and there has been a lack of initiative to make improvements. 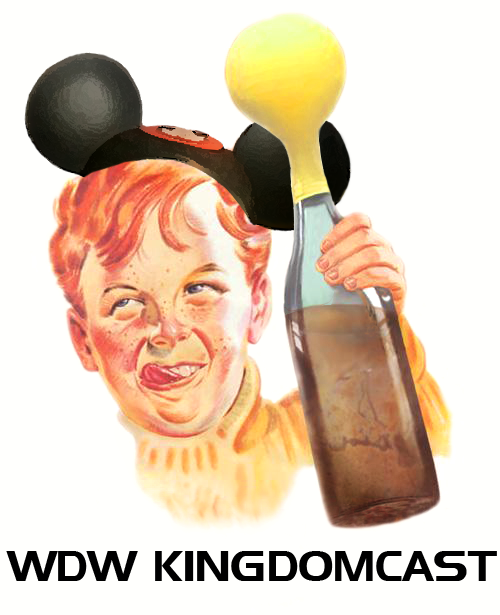 SOTMK debuted to a rabid fan base of Disneyana collectors, locals, & day guests. It was only a matter of days until eBay listings, Facebook groups, websites & blogs flooded the masses. However it appears most fans have lost interest and there is not much to look forward to. Personally, I have done nothing but champion this attraction since its inception. I’ve constantly defended my position on it to all the naysayers, and frankly I’m quite disappointed with its current status. As I posted on 3/27/12 with SOTMK only being open a little over 1 month the medium/hard levels had been locked for all players. The only answer given to me or anyone else I’ve talked to is that they are down due to “maintenance”. I tried to get an answer today and got the same response. Honestly, how severe is this problem? I mean you might as well just throw a planter in front of it. I’ve made it no secret that I believe some of the crazy locals were to blame for the banishment of the medium/hard levels in addition I realize that the long waits at the portals were also a factor. However this is the Magic Kingdom not your run of the mill Six Flags. This is the king of all theme parks, you are going to wait in lines, for everything. No one is making you or telling you to play SOTMK all day long. Frankly if the harder levels were too much for you to handle you should stick with the easy one. Why should the advanced players be punished. With the inability to level up in difficulty this game now has ZERO repeatability. Playing it over and over again on easy for the sake of leveling up your cards for no reason is absolutely pointless. Like all things Disney you’d expect an onslaught of merchandise. Well we’re all still waiting. I’ve never met a more eager and impatient group of consumers than the fans of SOTMK. This is a fan base that is ready to purchase anything you’re willing to throw at them, and what do they get? A non logo-ed pin binder converted to a card album for $46.95! Wow way to go team. Where are the T Shirts, Pins, Posters, Vinylmations, Spell Books, Card Protectors, the list goes on and on. TCG’s like Pokemon, Yu-Gi-Oh, Magic The Gathering, have incredible amounts of merchandise. With Disney having a larger reach and appeal, missing the boat on the merch has done nothing but leave money on the table. I’m not a merchandising expert by any means but most of the people playing SOTMK have already purchased and created their own accessories. Why should they shell out big money for something official now? Especially since the majority of the fan base doesn’t appear to be enjoying the game anymore. Finally you have the greatest mystery of them all, where did cards 61-70 go and why? Removing those cards from circulation did nothing but spawn a resale market. It didn’t make them fun to try to collect, it made them expensive and ridiculous. If they were pulled to be later to released for purchase along with another library of spell cards than fine that’s great. However no one seems to know when or if they’ll return. As instructed I’ve been watching the Disney Parks Blog, and there have been zero updates or information regarding SOTMK since 6/6/12. Call me impatient, but it seems to me and many other fans that it’s simply being ignored. Then again, I’m an AP and a local. I have the means to come and go to the parks as I please. However for the tour group, once a year, or even once in a lifetime visitor this is all new to them. I understand they’re not in the business of catering to the locals, but most of us are the bloggers, podcasters, & critics. Keep it fresh, get us excited, we love Disney, that’s why we do what we do. I just think it’s pretty sad that an attraction some 4 years in the making has become so complacent. I still believe SOTMK has such potential it’s a shame for it to be ignored. I want to preface this by saying this is my personal blog and I am entitled to share my opinions whether they are positive or negative whenever I feel necessary. Whether you agree or disagree with my thoughts I completely welcome you to leave a comment, send an email, etc. I’ve been asked on numerous occasions about the people I’ve encountered during my experiences with SOTMK. Usually I have nothing but good things to say, however there is one person in general that sticks out. I am talking about “the guy with the wand” I suppose it’s a general description but you’ll see what I am getting at. This a grown adult man, that totes around what appears to be a Potter-esque wand with a velcro mounting square affixed to the tip. In addition to this he has each of his spell cards in hard plastic protectors with velcro squares on the backs. Thus when it is time to cast his spell, he simply connects the two components and “higitus figitus” Ursula is down for the count. I am not the only who thinks this is totally crazy, in fact it’s frightening. If you’re into it, that’s totally cool. I think this game is great, but you’re taking it to the extreme, and its scaring people. When people see things like that they’ll continue to think we’re all nuts. Binders, Card Albums, Deck boxes that’s cool. However a full on cloak and custom-made wand, not OK when you’re pushing 30. I understand people come to the parks to escape, but this is a bit much. Have a dole whip and join the rest of us in the real world. 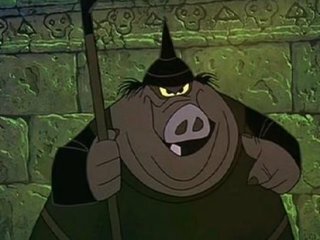 Here’s another installment in the Villain Sidekick Series, one of Maleficent’s Goons! Here’s another installment in the villain sidekick series, IAGO! A lot of people have been curious about the villain sidekick battles. Having just my iPhone I was able to grab some videos for everyone. I’ll be posting them throughout the week. Here’s one of Glut the shark. My apologies for the shaky camera work! I am no pro nor do I claim to be!